Sri Lanka President Maithripala Sirisena. 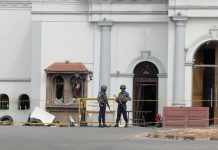 Sri Lanka’s deposed prime minister secured control of a key committee in parliament on Friday (23), dealing a blow to the country’s president in the latest twist in a month-long political crisis. 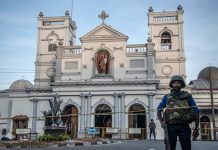 Sri Lanka has been politically paralysed since October 26 when president Maithripala Sirisena sacked Ranil Wickremesinghe as premier and replaced him with divisive former leader Mahinda Rajapakse. But a vote on Friday gave Wickremesinghe control of a selection committee entrusted with setting the legislative agenda in the absence of a working government. Rajapakse has lost two no-confidence votes in the assembly but refuses to step down. Wickremesinghe, despite being sacked a month ago, insists he is still in office and continues to occupy his official residence. Two weeks after sacking Wickremesinghe, Sirisena initially suspended parliament and then dissolved it, calling snap elections for January. However, these moves were suspended by the supreme court days later pending an investigation. The legislature reconvened last week but degenerated into a punch-up. 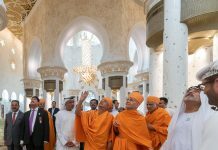 For 19 days, Sri Lanka had two claimants to the prime minister’s post – but since last Thursday (15) parliament speaker, Jayasuriya held that he would recognise neither. The crippling power struggle has led to a downgrade of Sri Lanka’s credit rating. The authorities announced on Thursday (22) that they will halt any sovereign bond issues as international borrowing costs had shot up following a credit downgrade of the country as a result of the political crisis. Legislators on both sides say that with the administration at a standstill, key sectors such as tourism in the Indian Ocean island popular with visitors are suffering badly.